What happened at Jesus’ Last Supper? What was the Passover meal, and why was it important? Why was Jerusalem dangerous for Jesus at Passover? 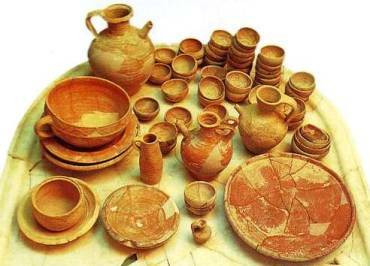 Why was bread and wine important? Describe the scene in the Upper Room. The time for the Passover celebration has arrived. Jesus is already being hunted by the authorities; he and his disciples know this, but they decide to share this (perhaps last) meal together. At this meal with his friends, Jesus will institute a new type of ceremony, and the covenant he makes with them will be sealed with his blood. Psalms 114-118 were sung, and the fourth cup was drunk. Read the four gospel accounts below, but be aware are you read that they use their narratives not only to report actual historical events but also to interpret the significance of Jesus. 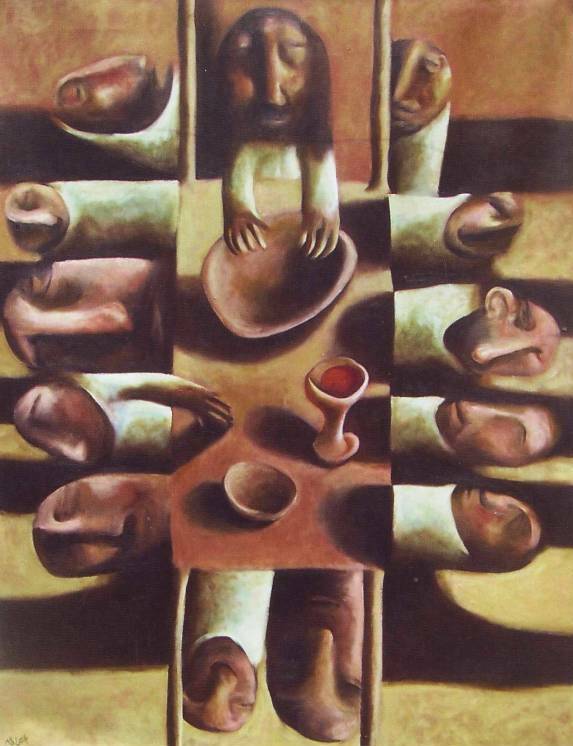 For example, John uses the idea of Jesus’ flesh and blood as food and drink in connection with the discourse after the feeding of the five thousand (John 6). He sees no need to repeat it here. The other three gospels (Matthew, Mark, Luke) link Jesus’ death to Passover by having both the meal and Jesus’ death on the day of the festival (remember that the Jewish day started at sunset). John does the same thing, but differently: he has Jesus dying on the cross at the same moment that the Passover lambs are being slaughtered in the Temple. The four evangelists are telling the same story, but each in his own way. What was the setting for this story? 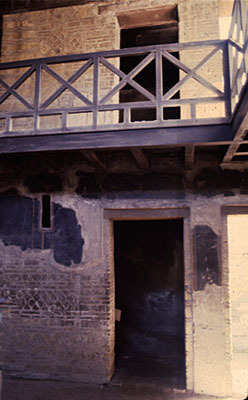 Space was scarce in ancient Jerusalem, so most houses had several stories; an Upper Room was common. 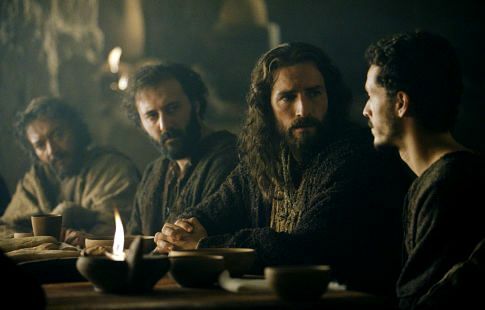 Modern people sit upright when they have a meal, and we might think that Jesus would do the same. 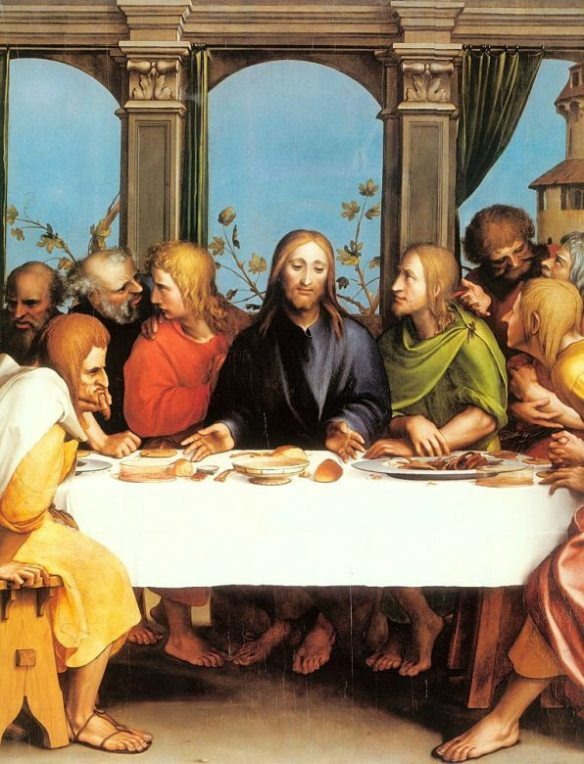 Certainly artists like Leonardo da Vinci portrayed the people at the Last Supper in this way. In fact, Jews at the time of Jesus celebrated a special occasion like the Passover meal reclining on cushions around a low table. People leaned on their left sides, supporting themselves on their left arm and leaving the right arm free. Because he was the host, Jesus would have been slightly in front of the other people at this Last Supper. This is important because it backs up one particular incident in the story: if John had been on his right and leaned back to speak to Jesus, his head would have been close to Jesus’ shoulder; he could have spoken quietly without the other disciples hearing what he said (for this story, see John 13:21-30). 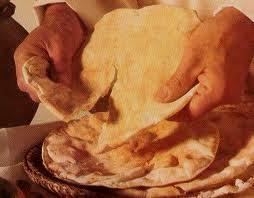 Jesus performed the action of the head of the household at any ordinary Jewish meal. 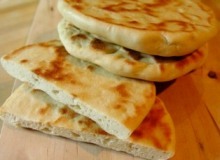 He blessed God for providing the bread. Then he links the bread with himself, suggesting that death for him would mean life for others. Jesus’ words suggest he knew that a violent death, was coming. He knew that, even in the immense crowd that swelled the city of Jerusalem at that time, he would be found and killed. But his natural terror was balanced by hope, because he believed his death was expiation. He would be the sacrificial lamb that gave its life for many. He would save his people and effect a renewed covenant with God. Even today, it is considered a noble thing to give one’s life for one’s country, echoing the idea that the shedding of the blood of the righteous will prompt God to act. Because they were the essential elements of nourishment for a 1st century Jew. Without them, he/she would not live. By associating himself with bread and wine, even to the point of saying ‘This is my body’ and ‘This is by blood’, Jesus was saying that nourishing the spirit/soul is as necessary as nourishing the body, that we cannot live without spiritual nourishment any more than we can live without food. But Jesus took it a step further. He identified the bread and wine with himself. His body would die. His spirit would be quenched. But the essence of what he was, of what he had taught and done, would be alive in the bread and wine. Now facing death, Jesus knew that what happened to him would advance God’s purpose, just as the deaths of the Maccabean martyrs atoned for Israel’s sin and paved the way for freedom (however short-lived) for the Jewish nation. So certain was Jesus of this that he vowed not to drink wine again until he would drink it in the kingdom of God. 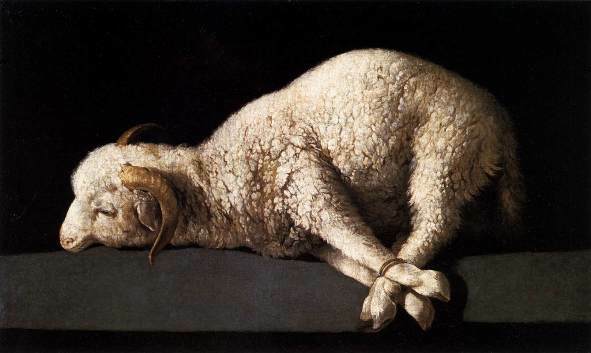 His blood would be ‘poured out for you’ in the way the blood of a sacrificial animal was poured out over the altar in the great Temple of Jerusalem. He then saluted his disciples in a special way: he shared his own cup with the assembled group. It was a Jewish custom for the host to share his cup with a particular, honoured guest. But Jesus shared his cup with all the apostles, honouring each one of them. Jesus took basic elements of human sustenance, food and drink, and blessed them. Then he turned the commemoration of this event into a symbolic communion with the redemptive power of his own death. To eat these same elements, sharing them with fellow-Christians, is to be joined mysteriously to Christ. For the very first Christians (who were also Jewish), the Lord’s Supper now eclipsed the old Passover. That meal, on that night, gave the Christian church one of its central sacraments. 20 When it was evening, he sat at table with the twelve disciples. 14 And when the hour came, he sat at table, and the apostles with him. John’s birth is clearly a prelude to the birth of Jesus.